The Olympics definition of “Swimming”: Goggles, unflattering racing suits, swim caps, green chlorinated hair, exhausted lungs, hours of exercising without iPods. Our definition of “Swimming”: Lounging beside the pool in Eres (girls) or Vilebrequin (guys), Grey Goose gimlets in sterling silver cups, Hermes jungle towels, Jay-Z blasting from the Sonos. And, of course, a spectacular pool house. In honor of Dering Hall’s new PORTFOLIO SEARCH SECTION , we’ve plucked a few of our favorites from its curated photo gallery. (Hint: If you haven’t been to DERING HALL go! It’s a phenomenal curated product resource and its Portfolio Section beats out any blog in terms of resource pictures.) 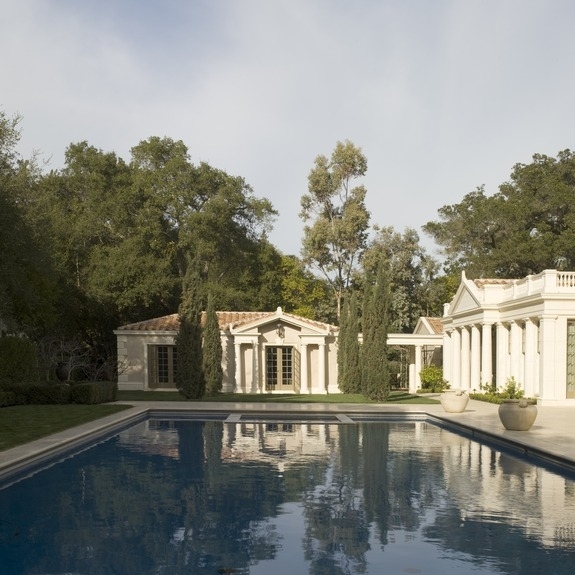 In addition, our we’re-obsessed-with them architects BACKEN GILLAM KROEGER in Northern Cal have got the pool house down. By the way, they also have the Napa house in general down so, architecture aficionados, their site is worth a visit.